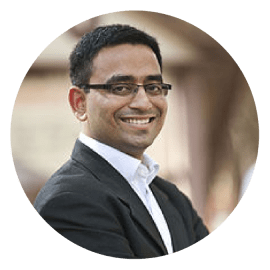 Piyush Tewari is a tri-sector leader with 15 years of experience in building and scaling government, corporate, and social enterprises. He currently serves as the CEO of SaveLIFE Foundation (SLF) and has been instrumental in leading it to several policy wins and on-ground impact since founding it 2008. Previously, Piyush led the India operations of Calibrated Healthcare, a LA-based private equity fund. Prior to Calibrated, Piyush served on the founding team of India Brand Equity Fund, an initiative of the Prime Minister of India to promote India as a globally competitive investment destination. Piyush is an Ashoka Fellow, an Echoing Green Fellow, and a Rolex Laureate. He has been profiled by The New York Times, National Geographic and Time Magazine. He holds a Master’s degree in Public Administration from Harvard University and a Bachelor’s degree in Information Technology from Delhi University.